Last year my 5th-grade students were required to submit a writing sample and present a history project to their peers in order to fulfill district requirements. 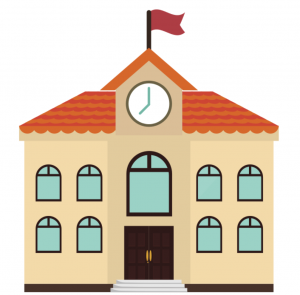 Since I work for a virtual academy providing instruction to nearly 180 fifth-grade students virtually, I knew I had my work cut-out for me as this would not be an easy feat to accomplish. To make their lives a little easier, I decided to combine the History and Writing requirements into one overall project to assist them with this process and provide them with a more choice-based approach. Directions for submitting their final handwritten copy into Schoology to be graded, along with a writing rubric to communicate the writing expectations and for grading purposes. At the end of the document, I included a selection of presentation tools that could be used to create their final overall presentation and a peer review document to be used for providing feedback to two of their classmates’ presentations as they were presented virtually in Blackboard Collaborate. Once I had my plan in place, it was now time to choose my method of delivery. At the time, choice boards were a hot, new item that I had already been using to provide instruction to my students with great success. So, I figured why not create an interactive choice board that allowed me to combine everything they could possibly need for this project in one convenient location. The answer suddenly became obvious, I would create a Historical Writers Choice Board in Thinglink! This allowed me to provide my students with scenario-based project choices to facilitate a more self-directed learning approach, include multimedia resources to assist them every step of the way, and display the History and English standards that were aligned to this project. I was very pleased with the final results and luckily the project was a huge success for everyone involved. Click here to view my Historical Writers Choice Board Thinglink. Once in Canva, I clicked on the Presentation (16:9) template (shown below) and a blank template appeared for me to get started on my creation. From there I created my own custom background by clicking on the background tab from the left-side menu, then choosing the free wood grain background that I decided to change from it’s initial black color to brown. Finally, I clicked on the Elements tab and perused through the icons and illustrations that I wanted to use. I added the book images, the bow and arrow, the hat, and the flag icon. The additional icons were images I already owned that were uploaded and added. Once I was finished, I clicked File>Save, then clicked Download to download my image as a .png file to my desktop. My next step was to upload my graphic to Thinglink. Thinglink is a platform available via web and app that allows you to upload an image and bring it life by adding tagged links to an unlimited amount of multimedia resources. 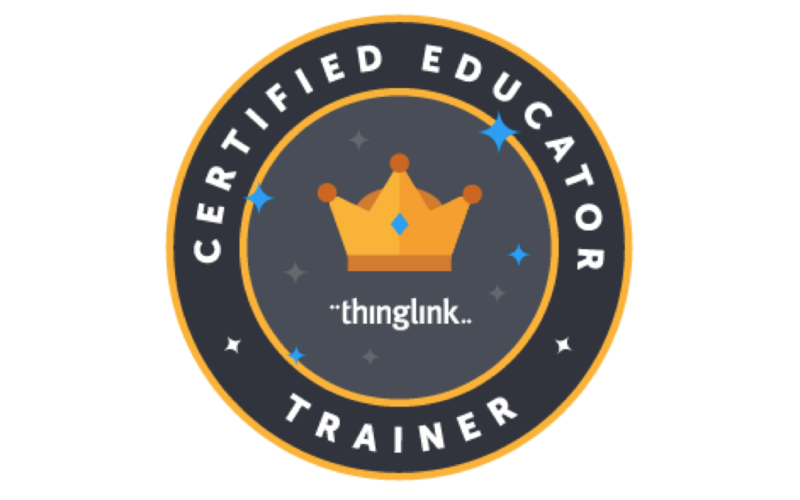 Thinglink has been my go-to tool for as long as I can remember because it allows me to provide students with engaging learning opportunities that allow them to interact with any content presented. If you are new to Thinglink, you can easily sign-up for a free basic account to experiment this amazing platform for yourself by clicking here. Once you log-in to your Thinglink account, simply click the Create button to get started. Next, follow the steps provided in the links below to upload your image and start inserting clickable tags to make your image come alive and create your own Thinglink Interactive Learning Menu. I hope you found my ideas helpful and I wish you the best of luck as you create your own Interactive Thinglink Learning Menus and Choice boards.